Should Christians Retire? How Should They Spend Retirement? How do you plan on spending your retirement? 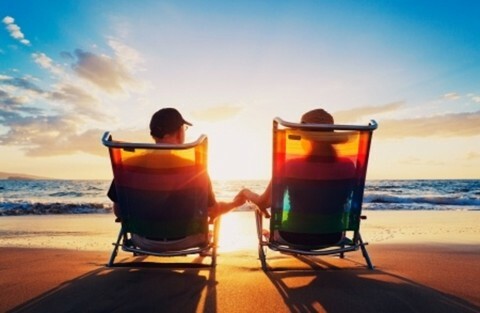 How should Christians spend their time in retirement? Should Christians even retire? Okay, I studied the Bible and I couldn’t find anyone that was said to have retired due to old age and then spent the rest of their lives resting and doing pretty much nothing. There is only one exception where someone was told to retire from their job but it was God’s idea. The other example did not end well. Okay, on to the next subject. Seriously, there are no Bible verses that fit in with the American idea of working to a certain age only to retire. That is not a biblical model of servanthood for the believer in Christ. As long as we are drawing a breath here on earth God is not finished with us and expects us to do things for His glory all the days of our lives. There is nothing that says that it is sinful for a man or woman to retire at a certain age and when they are able and to take some time to rest from a long life of hard work. Having said that, this never happened in any of the accounts of anyone in the Bible that was an Old Testament or New Testament saint…anywhere at any time! If you can show me after having done a thorough search, please let me know by commenting below. I did find one case where someone retired after they had accumulated enough wealth to do so but it did not end well for him. I will reveal that account near the end of this article. This might be the only case where a group of men retired in all the Bible however it was the Lord that commanded them to do so as they were to “withdraw from the duty of the service and serve no more” at age fifty. It could have been due to the fact that the Levitical Priesthood duties required extreme exactness and even a small, minor infraction could result in death due to the strictness of the sacrificial system. This was Paul speaking to the elders of the church at Ephesus and he was going to do anything but retire because his passion was that he would finish his “course and the ministry” but his time table was not from a given age but because he did not account his “life of any value nor as precious” but that the Lord’s word would be done. The fact is that Paul would be martyred shortly after writing 2 Timothy. There is never even a hint of Paul’s retiring in anything that he ever did or wrote about. This was when Zechariah’s time was finished in the temple service as it was the custom of the priesthood to have men serve on a rotating basis so when “his time of service was ended [and] he went home” but this does not mean that he finished his temple service to go and retire as you can read for yourself later in the Gospel of Luke. There is nothing that says that it is sinful for a man or woman to retire at a certain age … however as long as we are drawing a breath here on earth God is not finished with us and expects us to do things for His glory. God shows that even in our old age he will bear us up and carry us “even to [our] old age…and to gray hairs [He] will carry [us]” having carried us “from the womb; even to [our] old age” so it is God Who carries us throughout our lives but there is no hint anywhere in these verses, in this chapter or in all of the Book of Isaiah about retiring and taking life easy up until our time of death. Once more God takes us from our youth as we “flourish like the palm tree” until the time of our old age because we should “still bear fruit in old age [and still be] full of sap and green.” In other words, God can still use us even in our old age because the righteous “are ever full of sap and green” which means that even in an old palm tree can still be “full of sap and [is] green” there is still productivity left in us and it will still “bear fruit in old age.” We have two pecan trees and a black walnut tree in our yard that are well over a hundred years old and they are still bearing nuts that are the largest, sweetest of any in our neighborhood. A good man or woman has an inheritance because he or she has worked hard all of their lives. That is why God declares them good as opposed to the sinners whose wealth, ironically, ends up with the righteous. They leave their inheritance to their children and their grandchildren as opposed to spending it all on themselves in doing what pleases them. I am not saying that retirees can’t enjoy their retirement or spend money on themselves to enjoy life as they get older but being fully devoted to this alone is not prescribed anywhere in the Bible. This seems to indicate that if a person is righteous…that is if they have been declared righteous by God in Jesus Christ (2 Cor 5:21) then God promises that they will not starve to death, even in old age. That is an exceedingly precious promise. Here is the only case that I could find where someone did retire after accumulating enough wealth but just read how it turned out. Just when he thought he had it made and could take it easy the rest of his life, he died and faced the judgment of God. This is the way it ends for those who make money and pleasure their god. Jesus said “For what will it profit a man if he gains the whole world and forfeits his soul? Or what shall a man give in return for his soul” (Matt 16:26). The parable of the rich man who laid up crops and goods for an easy life was nothing in comparison to the cost of his own soul. If you are retired or will be retiring soon, why not volunteer at a homeless shelter as a way to be the hands and feet of Christ? How about serving as a reading volunteer in the local public school and put feet to your faith? Perhaps you could spend more time visiting and praying for the sick in the hospitals or cheering up the many lonely souls in nursing homes. I am very near the retirement age myself but I plan on still working, at least part time, and the remaining portion of my life I plan to evangelize in the streets, in the nursing home, in the hospitals, write letters to prisoners, and share the gospel with anyone that I meet. As long as I am drawing a breath, God is apparently not done with me so why should I be? As long as we draw breath, we should be living for God, doing His will, spreading His word. Thank you for such an encouraging word Robert my brother. I studied for my Masters at Moody Bible College and loved it. The more I learn about God and the Bible the more I see just how far short I fall of His perfection and the more I realize just how much I don’t know. May God richly bless you in your walk with Christ and may it be for His glory. I’m not sure I’m understanding your comment fully, but as far as the “respectful tone” of my reply goes, my mother made sure I learned manners…even if I learned nothing else. Ha ha. Not to throw water upon your great article but there are many reading, I think, who feel woefully inadequate to perform many of the activities you have given as examples. Some, are more outgoing and natural extroverts whereas others are introverts and have a hard time looking another human being in the eye, let alone preaching to them. I bet many of the early converts felt the same way when seeing the juggernaut Paul, exuding the zeal of Elijah, as he exhorted the brethren. But there are other avenues that you have mentioned which allow those more timid to still serve. They can letter write, as you have mentioned to missionaries, shut ins and those in prison, as a few examples. Your local church can set you on this path. Others might help prepare meals(sandwiches) which others distribute to the homeless. Our local Christian University has such a program as does a local church. Of course we can and should pray for a whole host of concerns and needs, and give support through supporting the activities of our local church by attending the services offered throughout the week, and encouraging our pastors, with words of affirmation and encouragement. Clean a few pews. Who knows, you might enjoy it! What is my point? I think many feel overwhelmed by the thought of confronting the heathen, tract distribution to strangers, visiting those in prison, or street preaching. As a result they feel defeated and end up despondent and ineffective. I say, “Cheer up! !”, there are many activities that are needed by the unsung heroes who can work behind the scenes to also further the Kingdom. I know you agree Pastor Jack. I just feel someone out there needed to hear that. Doc, spot on brother, as usual. I so agree. For so many years I was one of those who was overwhelmed and felt useless to the kingdom. In my opinion, I was fearing man more than God and I still have those natural tendencies. You understand so much about believers and that is why you are such an addiction and so beneficial to this website my friend. I thank you and I thank God for you Doc.